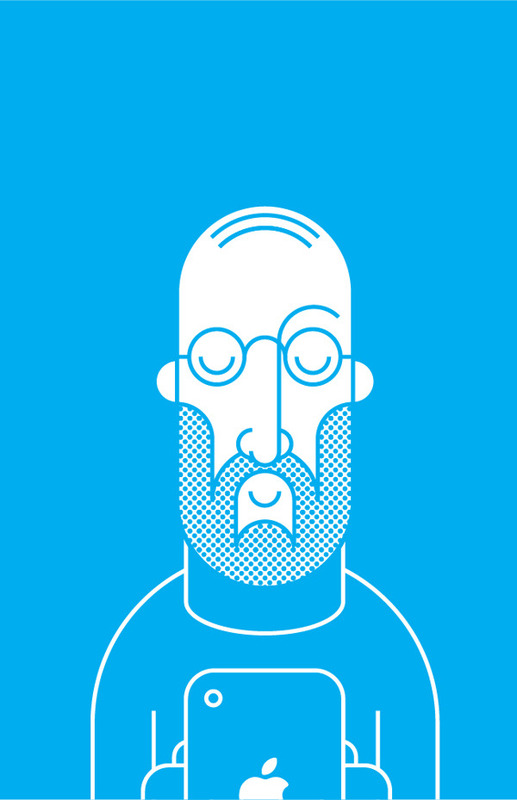 Game Changers (by Gustavo Quintana) Game Changers is a collection of Vector Illustrations of Silicon Valley’s most Notable Game Changers, Steve Jobs of Apple, Sergey Brin of Google, and Bill Gates of Microsoft. The Work was commisioned to be used as Wall Art for a mural in Campus Tec’s (Guatemala’s Tech Hub) own E-Garage/Co-Working Space, located in Canton Exposicíon, Guatemala City’s Trendy and Tech District. Posted on 20/04/2014 Categories AllTags apple, art direction, bill gates, ceo, character, character design, characters, design, design blog, design news, double, flat, flat design, game changer, google, graphic design, illustration, microsoft, minimal, minimalism, minimalistic, sergey brin, steve jobsLeave a comment on Game Changers (by Gustavo Quintana) Game Changers is a collection of Vector Illustrations of Silicon Valley’s most Notable Game Changers, Steve Jobs of Apple, Sergey Brin of Google, and Bill Gates of Microsoft. The Work was commisioned to be used as Wall Art for a mural in Campus Tec’s (Guatemala’s Tech Hub) own E-Garage/Co-Working Space, located in Canton Exposicíon, Guatemala City’s Trendy and Tech District.